James Franco has had dozens of credits as both director and actor. His directorial debuts have never been too stellar unlike his acting (debuts). He has proven his acting mettle in both comedy (THIS IS THE END, PINEAPPLE EXPRESS) and drama (SPRING BREAKERS). 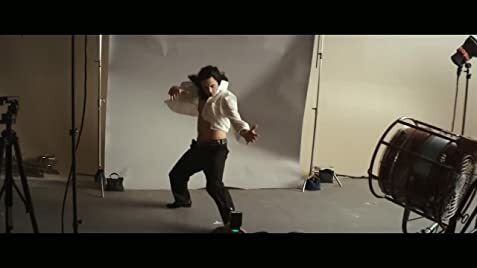 In his latest outing, he does both directing and acting in a comedic/dramatic portrayal of Hollywood filmmaker Tommy Wiseau. The odd film premiered at the Toronto International Film Festival Midnight Madness section to a full house, the reason being that Franco and his gang showed up during the screening. James Franco and friends appear in this uneven tribute to eccentric filmmaker Tommy Wiseau (played by James) and his friend, actor Greg Sestero (played by brother Dave), whose notoriously awful film The Room has become one of the most beloved cult classics of all time. (I have never heard of it though.) Since its release in 2003, The Room has captivated cult audiences on the midnight movie circuit with its discombobulated plot, discordant performances, and inexplicable dialogue. Drawing on the memoir of the same name, Franco chronicles the making of The Room as recalled by Greg. The incredulous script supervisor is played by friend Seth Roger. Other celebrity friends of the Franco’s like Christopher Mintz-Plasse and Zac Ephron also appear. Franco’s portrayal of Wiseau is over-the-top, which is likely the character of the man himself. Franco as Wiseau goes about the majority of the film speaking with an accent, shouting and speaking in broken English sentences. Films about directors of Hollywood bombs have been done before, most notable being Tim Burton’s ED WOOD. 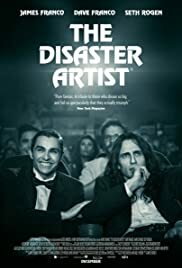 But Franco’s DISASTER ARTIST bears more similarity to the 1970’s British/Italian comedy starring Peter Sellers as a mastermind Italian crook in Vittorio De Sica’s AFTER THE FOX. In both movies, there are separate scenes of the film shot, that bear no sense, but when put together during a screening at the end of the film, bring on major laughs. This is how best to describe Franco’s THE DISASTER ARTIST. It is a shallow biography of Tommy Wiseau providing no new insight of the man, but it does provide some solid laughs. The best scene is clearly the one where Wiseau does multiple takes on a segment, never getting it right until finally after uttering the line, “Oh, hi Mike” generate spontaneous applause from the director and those watching on set (and loud laughs from the audience). The Franco/ Rogen/Goldberg troupe has an uncanny sense of humour, and the humour and timing works magnificently at times. The film ends with a split screen of the shots of the actual ROOM side-by-side of this movie. A so-so movie but one can always forgive a mediocre movie if it delivers a few good laugh-out loud laughs! This season’s finale leaves us with a sense of conclusion, but not a sense of finality. Bojack and Hollyhock’s relationship has finally come to a point of mutual understanding, giving Bojack a sense of inner peace for the first time in the entire series. Princess Carolyn saves her career and successfully displaces her grief by channeling her emotional energy into a symbolic project. Todd’s dumb dentist clown venture ends up like every other single Todd scenario. The resolution we get between Bojack and Hollyhock is satisfying and ends the season on a positive note, but I’m more interested in the collapsing dynamic between Mr. Peanutbutter and Diane. It’s profoundly obvious that Diane is suffering from the kind of slow-progressing, all-encompassing, weighty depression that sneaks into someone’s life like smoke under a door in a burning building. The question really comes down to how much of Diane’s pain is caused by unresolved internal issues, and how much of it is external and related to her failing relationship. You have to commend Mr. Peanutbutter for at least trying to use all the power he has to give Diane what he thinks she wants to have. Mr. Peanutbutter is a textbook people-pleaser who can be goaded into almost anything if he feels his likability is at stake, and it seems like he only knows how to express himself in grand gestures, but that’s exactly his fundamental flaw. Mr. Peanutbutter can only really see and experience things from his own perspective, almost to the point where he lacks true empathy. Diane’s rejection of her “Belle Room” is complete evidence that Mr. Peanutbutter won’t ever be able to understand her worldview, and is another reason why this doomed couple is heading towards divorce. 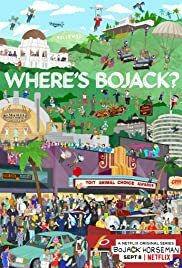 The fifth season of Bojack Horseman has yet to be confirmed, although it would be highly surprising if this is where Netflix allows this series to end. How will a more emotionally-available Bojack handle the separation of his two best friends? We’ll have to wait until next year to find out. This episode finally gives us all of the missing pieces we’ve been looking for in understanding Beatrice’s backstory, which is also effectively Bojack’s origin story. I don’t know if dedicating the bulk of an entire episode to the tragedy of Beatrice’s life was the best choice they could have made, but for what it’s worth, the pacing and visual storytelling here works well. It’s impossible to really know what experiencing dementia is like from an insider’s perspective, but the perpetual hell we see Beatrice living through is genuinely chilling. 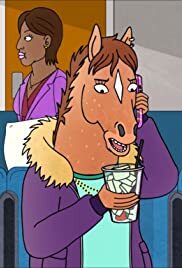 The astounding revelation that Hollyhock is Bojack’s sister, and not his daughter, hinges a little on the side of melodrama, but it’s not to the point of eye-rolling soap opera nonsense. What makes this episode work is it’s final sequence where, after we’ve seen and heard everything, Bojack still makes the choice to show kindness to his mother. He’s given an open, consequence-free opportunity to punish Beatrice for a lifetime of cruelty, and he still makes the right decision. This is possibly the biggest moment ever in Bojack’s emotional growth across all four seasons of this series. 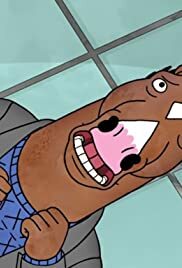 So much of Season Four has been centered on Bojack’s anxieties over how much his inner “sickness” has been inherited by Hollyhock. The end of “Time’s Arrow” shows us that trauma ends when we actively make the choice to break the cycle of abuse, and that people can surpass their circumstances with time and healing. The endless march of time is a major focal point of this season, and for Bojack at least, time does heal all wounds. Structurally, I have to commend this episode for it’s detailed foreshadowing. Hollyhock’s enthusiasm about Beatrice’s coffee, the opening titles showing her not eating, all of the weight-based comments we get in the flashback sequences with Bojack’s grandparents. When combined with Hollyhock’s obsessive behaviors and her lack of interest in food, this totally, totally works. It’s easy to not notice the subtle changes in Hollyhock’s physical appearance on your first watch through of this season, but if you actually go back and compare her appearance from episode to episode, the change in Hollyhock’s body is visible and incredibly obvious. It’s an excellent depiction of how dangerous drug use can sneak in, totally undetected, right under someone’s nose. There are, however, some slight gaps in the logic of the big twist of this episode. Beatrice is home-bound and suffering from moderate-to-severe dementia, right? So how exactly did she manage to gain access to a large bottle of amphetamine-based diet pills? We’re not really meant to know Beatrice’s specific level of sentience, but it’s a little hard to suspend my disbelief to the point where I can see Beatrice gaining access to medical-grade amphetamines in her mental conditions. One one awful day, Princess Carolyn deals with rejection, deception and loss. BoJack and Diane try to track down Hollyhock’s birth certificate. I can’t be alone in thinking that the handling of Princess Carolyn’s miscarriage was somewhat tasteless. We see her suffer yet another huge, profound disappointment in her life, one which ultimately ends her relationship with Ralph and sends her spiraling into alcoholism and depression, and how do they decide to frame this information? Puns and cheap jokes based on the accents of “foreigners.” Tacky. Bad taste aside, the plot line about Princess Carolyn’s family heirloom was a decent metaphor for the artificiality of the lies we tell ourselves about the past and the future, which does seem to connect to this season’s greater theme of all things being swept away by the passage of time. I could live without the somewhat uninspired sub-plot where Bojack and Diane try to track down Hollyhock’s birth certificate at the county courthouse. If DMV-type jokes are the “groundbreaking” territory this series aims to cover, Bojack might as well be doing a stand-up routine about airplane food. The ending of “Ruthie” does kind of pull back around to a more tonally reasonable place, but this season has generally struggled a little when it comes to balancing comedic and dramatic moments, like how it stumbled over Bojack’s grandmother’s lobotomy. At the very least, “Ruthie” gives us clarification that inter-species relationships end up with babies that are either one animal or another, clearing up some of the mystery surrounding Hollyhock’s parentage. Hollyhock starts dating and intern on BoJack’s new show. Princess Carolyn meets Ralph’s parents. Mr. Peanutbutter throws his support behind Woodchuck. Princess Carolyn and Stilton’s relationship touched on interesting ground in this episode. Maintaining a romantic relationship across two different cultures can be a huge challenge in any situation, let alone when one culture bases part of its identity on denigrating the people and culture of another group. How could Carolyn ever feel embraced in a culture that bases part of its core identity on hating cats? Stilton ultimately makes the right choice in standing up for his partner, even in defiance of his culture and family. Bojack is making an attempt at fatherhood by trying to guide Hollyhock through one of her earliest relationship. While Bojack ends up being right about the Intern’s intentions, he has to backtrack to protect Hollyhock’s feelings. Interestingly, Hollyhock shows us that some more of Bojack’s obsessive and self-destructive behaviors might be lurking inside of her as well. Mr. Peanutbutter’s posh campaign fundraiser takes a terrifying turn. As chaos swirls around them. BoJack and Diane get drunk. No punches have been pulled in this vicious takedown of fracking as Mr. Peanutbutter’s house falls deep underground due to a man-made earthquake. Glamazonian Drag World Superstar RuPaul Charles makes an appearance as the Ant Queen who saves Todd and Princess Carolyn from their earthen tombs. 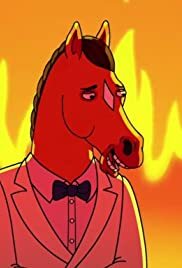 Mr. Peanutbutter’s near-miss at being burned alive by Jessica Biel was the incentive he needed to realize his quest to be governor was just a reaction to being around his ex-wife. Bojack and Diane finally have the heart-to-heart they’ve been avoiding since the death of Sarah Lynn. We’re over halfway through the series, and there’s no clear indication where any of this is going, or how any of these story lines are going to tie together. There does seem to be a recurring theme of families and parenthood going on, which is why I have a terrible feeling about Princess Carolyn’s pregnancy, but it’s too early to tell exactly how this season will end for Bojack and his friends.